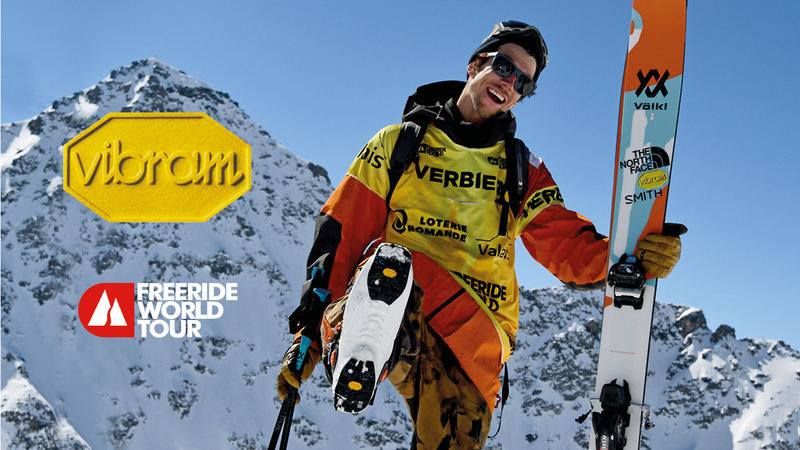 "The grande finale" was the claim anticipating the very last stage of the Freeride World Tour 2019, a promising one for Vibram athlete Markus Eder, who earlier today achieved a well-deserved victory for this year edition. Highest in ranking since the first stage of the Tour, Markus’s performance today earned him score of 82.66 – sixth place overall – which determined his triumph. In the final ranking, the Swedish rider Kristofer Turdell finished second, followed by the French Leo Slemett, third. A “grande finale” also for the Italian female skier Arianna Tricomi, who gained the title of Woman Champion of Freeride World Tour 2019. In the final ranking, Tricomi was followed by USA athlete Jacqueline Pollard, second place, and the Swiss Elisabeth Gerritzen. For snowboard, it was the French Victor De Le Rue triumphing among men, with the American Davey Baird and Blake Hamm placing second and third. In the women race, French athlete Marion Haerty ended the Tour first, on the podium with the Russian Anna Orlova in second place and Austrian Manuela Mandl third. From the whole Vibram team, special thanks to Markus and to Freeride World Tour, and big congratulations to all athletes who joined this 2019 edition. See you all in 2020!